We're as excited as our customers from Los Angeles and Glendale, CA to see the 2017 models arrive at Keyes Toyota. That's reason enough for Toyota owners whose vehicles are coming off lease, or who've decided it's time for an upgrade, to stop by our showroom at 5855 Van Nuys Blvd. in Van Nuys, CA. It's also a good time for anyone looking for a car, truck, or SUV. In fact, because of the Toyota Annual Clearance Event, this may be the best time yet to buy or lease a new Toyota! Lease incentives are available on the 2016 Toyota Corolla S ($159 per month for 36 months, $1,999 due at signing) and 2016 Toyota Camry SE ($189/month for 36 months, $1,999 due at signing). Finance incentives are available on the 2016 Toyota Prius v (zero APR for 72 months) and 2016 Toyota Tundra (1.9% APR for 60 months). 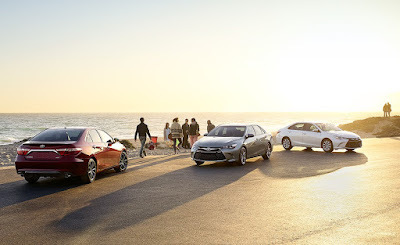 Fantastic cash-back deals -- up to $2,500 -- are available on select Toyota Prius, Toyota Camry, and Toyota Corolla models. Of course, terms and conditions apply. All offers are subject to credit approval, not all models qualify for all incentives, and any incentives apply only to vehicles in stock. However, with so many cars eligible, there's bound to be something that fits your needs and your style. For answers to your questions, you can call Keyes Toyota at 800-296-3052, or visit your Los Angeles, CA Toyota dealership at the address above. 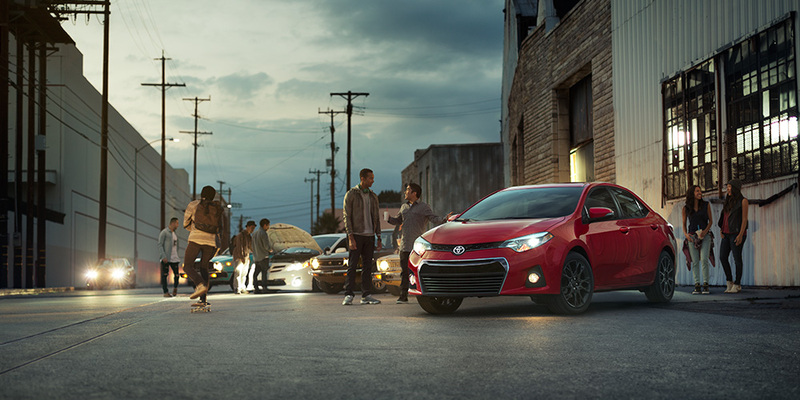 We'll help with finance, trade-in allowances, and practically anything else Toyota-related. The Keyes Toyota showroom -- like the end of the Toyota Annual Clearance Event -- is closer than you think, so stop by today! Ever since the 2017 Toyota Prius Prime plug-in hybrid debuted at the New York International Auto Show, we have been eagerly anticipating this versatile vehicle. It shows that Toyota was listening to customers who wanted a plug-in hybrid, and that they'd vastly improved on its predecessor. The anticipation is understandable. The 8.8-kWh lithium-ion battery is twice the size of the one found in the 2012 model, and promises a 22-mile all-electric range. If that sounds impressive, it gets better: the combined range is estimated to be 600 miles on a single tank of gas. The larger battery pack necessitated a 2+2 layout instead of a traditional five-seat arrangement, though Toyota is already working on a five-seat design for the next generation. The wider, longer, and sportier look is a bit of a departure from Toyota Prius design of late. High-strength steel and extensive use of aluminum combined with a low drag coefficient keeps weight down to improve fuel economy and handling. The car tops out at 84 miles per hour thanks to a four-cylinder 1.8 L Atkinson Cycle engine and two electric motors that deliver 121 horsepower. The lot is coupled to a Continuously Variable Transmission (CVT). The car was originally supposed to debut in Japan this fall, followed shortly after by Europe and North America. With the Japanese release being pushed back, it's hard to tell whether the American release will also be delayed, or if the car will appear in all markets simultaneously. While others are reading the tea leaves, here's what we can say with certainty: early reviews of the car suggest it will be well worth the wait. It's routinely beaten its own fuel economy estimates, it drives well, and it fully delivers on its promise. What's more, if you want a hybrid and don't particularly mind it not having a plug attached, you don't even have to wait. Come to your Northridge, CA Toyota dealership to test drive the rest of the Toyota Prius family, or the Toyota RAV4 hybrid, today. Call Keyes Toyota at 800-296-3052 or stop by our showroom, located at 5855 Van Nuys Blvd. in Van Nuys, CA, today. When the midpoint in its current generation came in 2015, the Toyota Camry got a significant facelift and a raft of new features. As so often happens, the next model year didn't change much, only adding a Special Edition trim and minor tech upgrades. The 2017 Toyota Camry, retains the features that customers loved on the 2015 and 2016 models, while offering an overall refresh. For Northridge, CA drivers considering a new Toyota Camry as their next car, here's what to know about the latest model at Keyes Toyota. 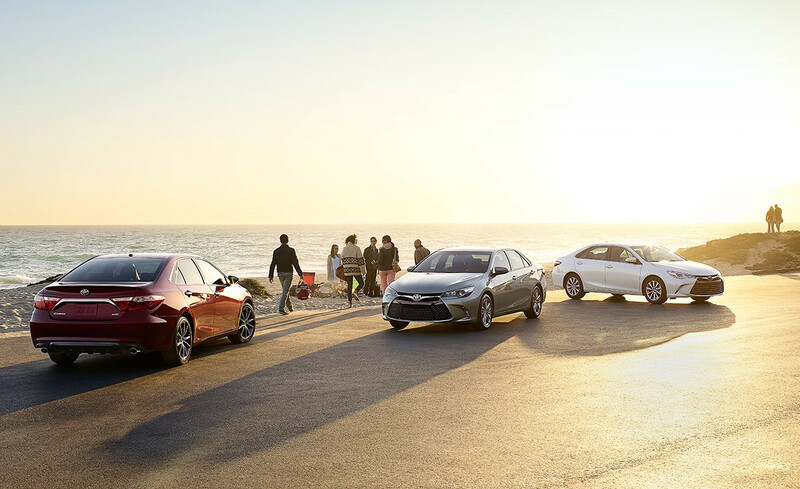 The 2017 Toyota Camry comes in four trim levels. The base trim Toyota Camry LE remains the same right down to its price tag, but if you're looking at the other trim levels, there are some changes in store. First up is the Toyota Camry SE, which makes the Blue Streak Metallic color option that came out last year with the 2016 Toyota Camry Special Edition a standard option. Stepping up to the next level, the Toyota Camry XLE updates the Entune Audio Plus multimedia system, which now features navigation (on standard and hybrid models) and Qi Wireless Charging (on the hybrid version). Go all the way to the top of the line 2017 Toyota Camry XSE and all the standard features on the lower trims are included. The power trains from the last model year all return, including the 2.5 liter four-cylinder engine that underpins the 200 net horsepower hybrid drive system on the hybrid trim. On the other trim levels, a 2.5 liter four-cylinder engine that puts out 178 horsepower is standard, while a V-6 engine that packs more horsepower is optional on certain trim levels as well. An electronically-controlled Continuously Variable Transmission (ECVT) rounds out the drive train on the Toyota Camry Hybrid, while the other trim levels receive a 6-speed automatic overdrive transmission (which gets a nifty paddle shifter on the SE trim). There's a reason the Toyota Camry has been the mainstay of the Toyota lineup, and has long been at or near the top of the pack in the United States. It brings an unbeatable combination of reliability, sharp looks, high technology, and ample power to the Northridge, CA area drivers who choose it. If you'd like to find out more about the 2017 Toyota Camry, we invite you to call Keyes Toyota at 800-296-3052, or stop by our showroom today for a test drive or to find out about Toyota finance. We're located at 5855 Van Nuys Blvd in Van Nuys, CA, and we look forward to seeing you. When Toyota announced that its Scion brand would be discontinued, many drivers were disappointed. While Toyota has always made cars like the Toyota Corolla that incorporated innovative technology and legendary reliability, Scion brought something new to the table, combining what was best about their parent company with a singular design sense and fun driving dynamics. 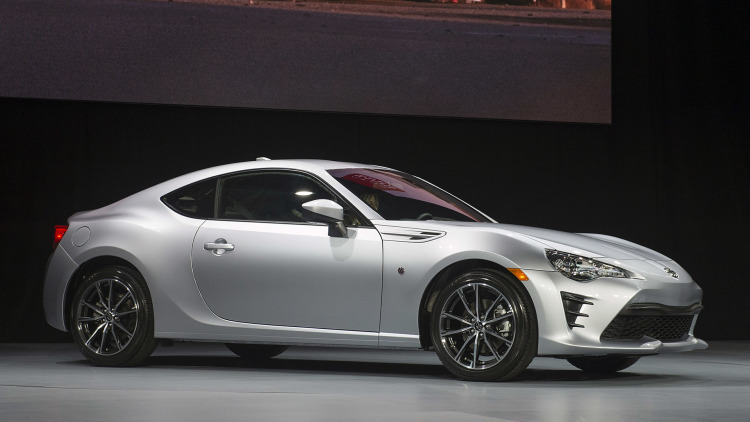 Thankfully, the best of the Scion brand will continue, albeit under the Toyota name. That means some exciting new options here at Keyes Toyota, and some new choices for the Los Angeles, CA drivers we serve. One of the models that will now proudly wear the Toyota name is the 2017 Toyota 86, which you may recognize as a car that last appeared as the Scion FR-S. That same car was already known in some overseas markets as the Toyota 86, and with the change of name comes some other changes. The sporty 2+2 coupe's engine is re-tuned to deliver 205 horsepower and 158 lb-ft of torque (that's 5 more hp and 8 more lb-ft respectively). The front and rear fascias have also been mildly redesigned, as has the car's suspension. What results is a car that should be plenty of fun to drive, and that should be true to Toyota CEO Akio Toyoda's stated mission to make driving fun again. The years ahead will be interesting ones for Toyota as a company, for Keyes Toyota as your Los Angeles Toyota dealer, and for the drivers we're so proud to serve. 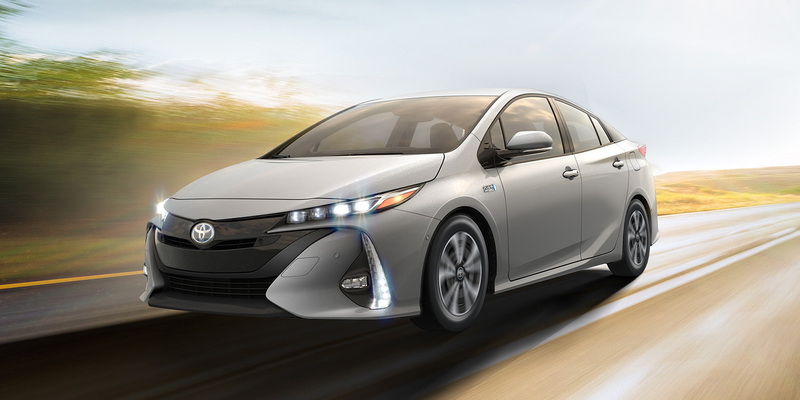 After all, the expanded lineup doesn't just include some great vehicles carried over from Scion; it includes reliable classics like the Toyota Corolla, the Toyota Camry, and the upcoming Toyota Prius Prime. Find out more about what's in store by visiting our showroom at 5855 Van Nuys Blvd. in Van Nuys, CA, or contact our Toyota service department to keep your Toyota running like new no matter how old it may be!